Beck, Roger B. (2000). 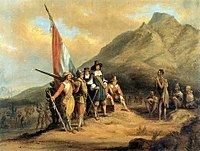 The History of South Africa. Westport, CT: Greenwood. ISBN 031330730X. Davenport, T. R. H., and Christopher Saunders (2000). South Africa: A Modern History, 5th ed. New York: St. Martin's Press. ISBN 0312233760. Worden, Nigel, Elizabeth van Heyningen, and Vivian Bickford-Smith (1998). Cape Town: The Making of a City. Cape Town: David Philip. ISBN 0864864353. Dr Cyril Hromník on research into ancient history of Africa - an article written by Maré Mouton.